A vodka drinker left this by the side of Buena Vista Road. 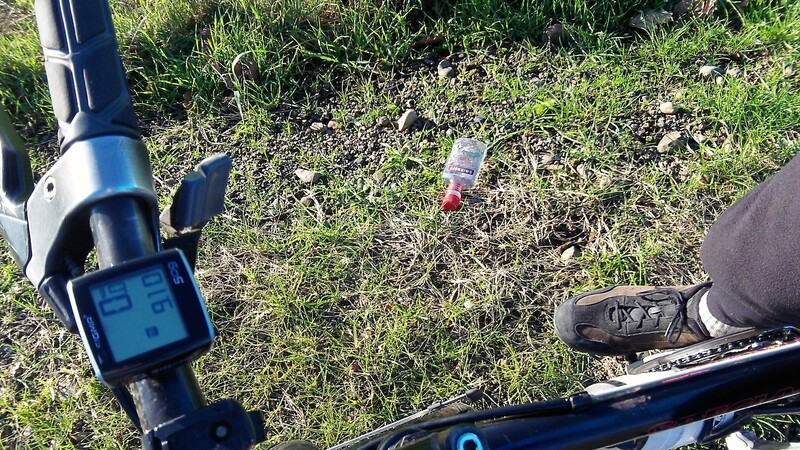 This person who threw this empty Smirnoff bottle out the window of a passing vehicle did cycists like me a favor. He — let’s say it’s more likely a man than a woman — also highlighted a failing in Oregon’s Bottle Bill. One hazard bike riders face is broken glass on Oregon roads. So one favor in this case was that the litterbug emptied a bottle made of plastic and not of glass before pitching it out the window. Another was that he tossed it far enough that it landed in the grass and not on the asphalt, so if it had been glass, it would not have shattered and left all kinds of sharp little shards where a bike tire would find them. We can only hope that this was a passenger and not a driver getting rid of evidence. As for the Bottle Bill, in 2011 it was amended to require deposits, starting in 2018, not just on soft drink, beer and water containers but also other drinks such as sports drinks, teas and coffees. There will still be exceptions, though, and those include distilled spirits. So our drink-and-drive litterbugs will have no additional incentive to keep their empties inside their cars.